Lore and Saga. The Living History Service for Education. Reproduction Viking Silver. This brooch was a special commission inspired by Scandinavian stamp work and Anglo-Saxon bossed brooches. 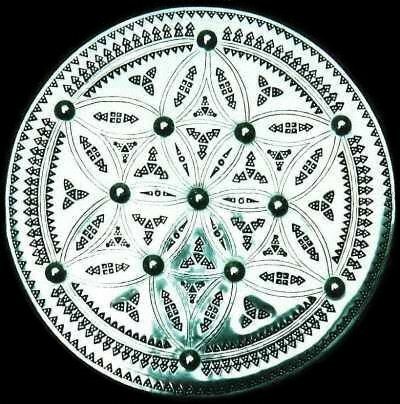 Produced in Silver it measured 150 mm diameter on completion and is worn at the shoulder to secure a cloak. 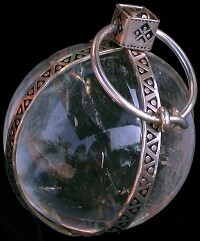 An Anglo-Saxon style Sieve Spoon and Rock Crystal Sphere produced for Debbie’s ancient medicine display. Generally associated together in burials, theories about their use include semi magical purposes by the healers of the Saxon age.